Despite its peaceful, idyllic, countryside location, it is just 20 minutes from the M1/M6/A14 motorways. Market Harborough mainline train station, which directly connects to London St. Pancras and Northern England, is also just 15 minutes away. At the heart of The Midlands, The Woodlands sits on the border of Leicestershire and Northamptonshire, with Warwickshire very close-by. 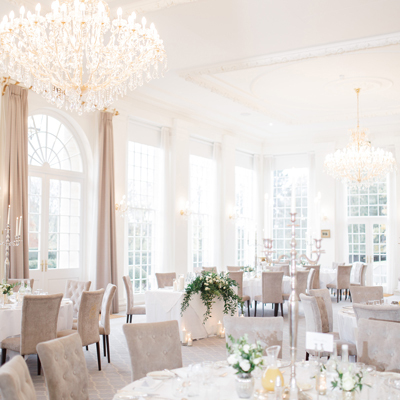 Its perfectly positioned for UK-wide friends and family to gather for your nuptials. 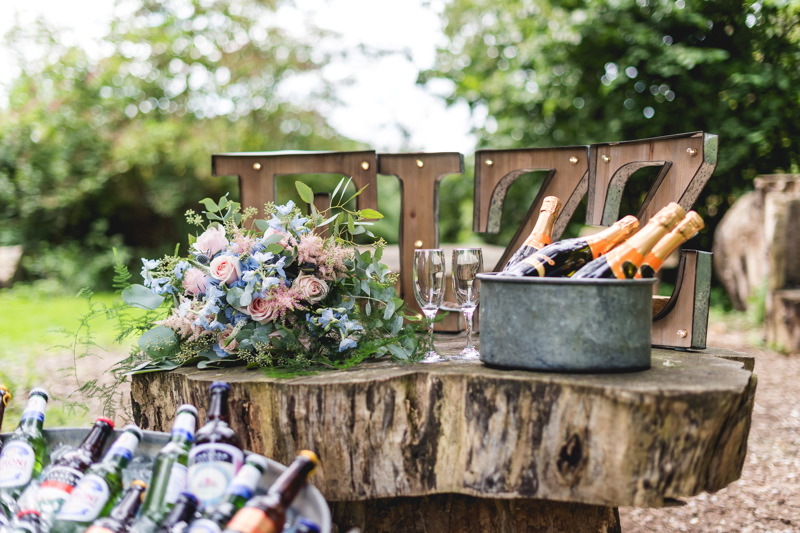 This exclusive-use rustic luxe wedding venue never fails to amaze guests, with its setting described by many as a miniature woodland village. You’re spoiled for choice with indoor and outside ceremonial areas, that both allow you to enjoy the true woodland nature of your wedding. The stylish indoor venue at The Woodlands – complete with bar, dining and party space – offers a ceremony room full of natural light. 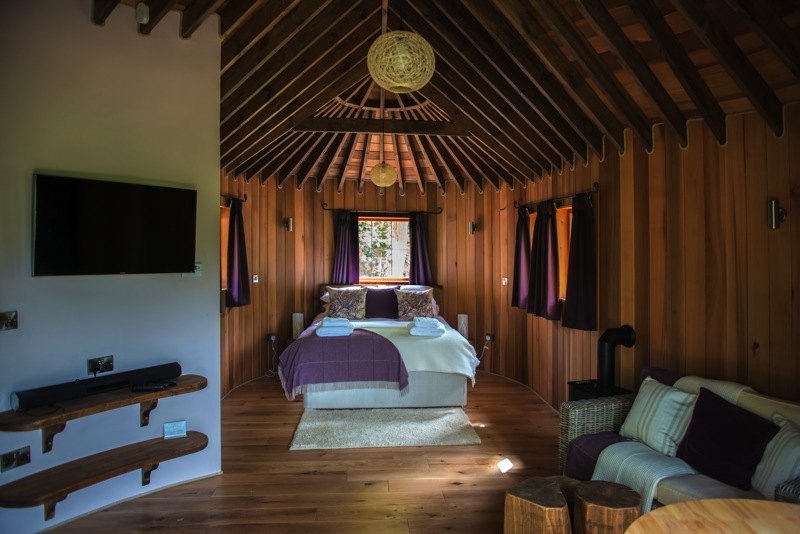 Floor to ceiling sliding glass doors open to allow a subtle hint of nature inside with you while you exchange vows overlooking the treehouse wedding suite. 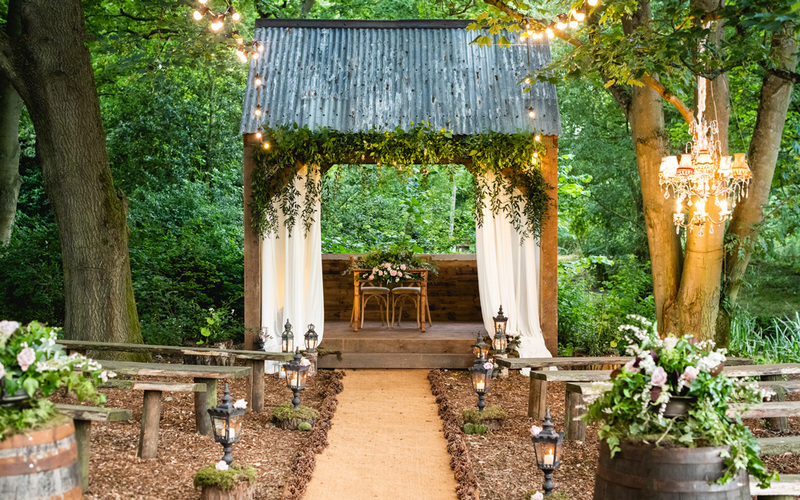 Nestled just beyond the venue and among the trees, The Hideaway is licensed for your outdoor woodland ceremony, allowing you to fully experience the wonder of the woods, including the shallow River Welland that slowly meanders alongside. The very nature of The Woodlands and its in-house wedding planning team is flexibility and choice. They wholeheartedly recommend you treat the beautiful wood and glass structured venue and outdoor ceremonial space as a blank canvas so you really can make your wedding as unique as your union. Whether it’s formality or a relaxed affair you crave, they’ll take their lead from you! 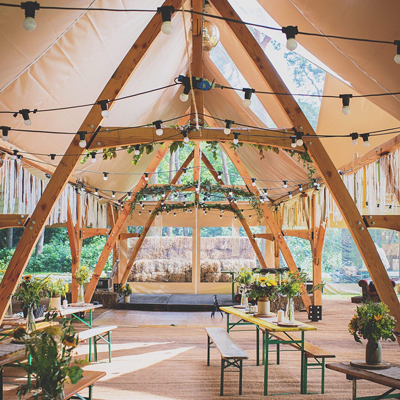 From rustic, boho or festival-style vibes outside to luxurious warmth and comfort inside the venue (maybe with G&Ts on the decking if the sun’s out) it’s up to you. Rustic Luxe Weddings at The Woodlands: An enchanted, whimsical vibe with luxury and comfort that enjoy nature-inspired elements.